Sonia was in town for the weekend. I haven’t seen her in two years (basically since she left Boston), and she reached out to hang. She looks amazing amazing! She lost 20 lbs and has this great job lined up and this cool bf. Great things all around. Anyway, so I made the breakfast tacos I’ve been making recently. In addition, I made this radish salsa (which I also used for steak tacos on Friday night with pat and kels). No pictures of the actual meal but this was the setup I had going on while I was making the tacos. We ate on the roof and it was awesome. Such a beautiful day. 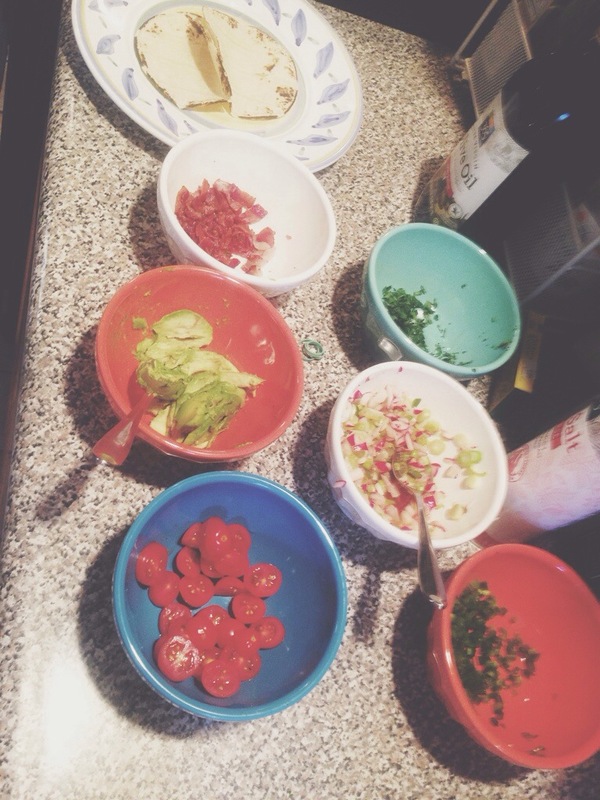 This entry was posted in weekend and tagged bacon, breakfast, cilantro, jalapeno, radish, tacos. Bookmark the permalink.